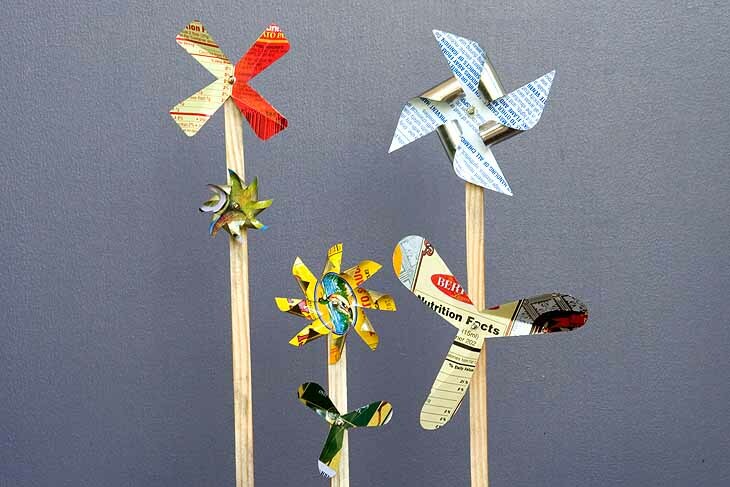 Wind toys go way back. These little cuties can go in the garden or a window box, on top of a cake or your car antennae, or just about anywhere you can picture them. Strategically using the printing on a can or painting them after construction can add additional zing.